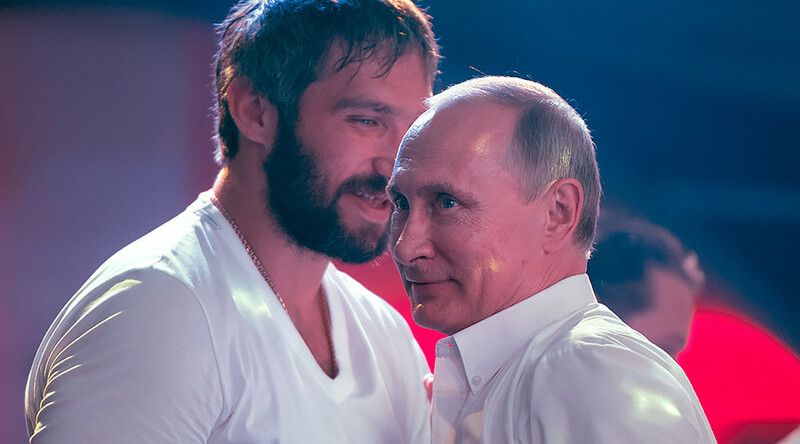 Russian NHL powerhouse Alex Ovechkin says he is forming a “Team Putin” movement, amid a presidential race swirling with young media celebrities. Putin himself, however, is yet to announce whether he is to run for another term. “Me, personally, I would like to be a part of this team,” the star striker wrote, without elaborating on who he sees as prospective members of the movement and what precisely it plans to do besides backing the Russian president. Ovechkin is known to have voiced support for Putin. Last year, the hockey player posted a video of himself sporting a Putin T-shirt. Ovechkin, 32, is considered to be one of the greatest-ever goalscorers in NHL history and has won numerous prestigious NHL individual awards during his more than decade-long career with the Capitals. These include being named Best Rookie in 2006, three Ted Lindsay Awards as most outstanding player of a season and six Maurice Richard Trophies as best scorer. His announcement comes as the presidential race as about to kick off in Russia. Next month, the Russian Federal Council is set to formally announce a date for the presidential elections in March. Putin is widely expected to run for what could become his fourth presidential term, but the man himself has so far kept silent about his intentions. A number of young challengers with high and sometimes controversial media profiles have moved in to fill the silence. Sobchak’s announcement was closely followed by that of Yekaterina Gordon, a fellow socialite, journalist, singer-songwriter and rights activist. Launching her campaign, Gordon said that she would focus her bid around the issues of rights of women and children. Women seem to be taking center stage in the upcoming presidential race. The latest announcement came from former adult film star Elena Berkova, who said her program would include “clothing censorship” and a ban on skirts “shorter than 40cm,” which she announced in an Instagram video while dressed in lingerie.